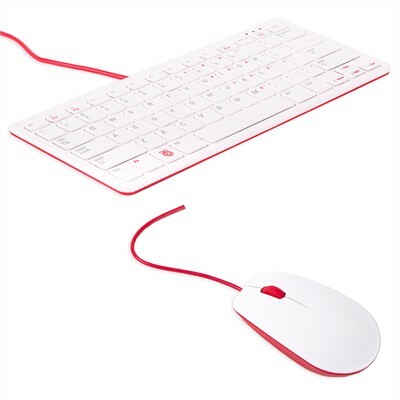 The Official Raspberry Pi Keyboard and Mouse now in stock, available individually or as a bundle. They feature an ergomic design for comfortable use. The keyboard incorporates a built-in hub adding three additional USB 2.0 ports to your Raspberry Pi.